SIRANE is currently exhibiting at the Gulfood Manufacturing show - so if you're headed to the show in Dubai, be sure to find us on the UK pavilion. Gulfood Manufacturing – described by the organisers as a ‘one-stop destination for commercial food production’ – is attended by buyers from across the region, and the focus will be on our wide range of food packaging solutions. 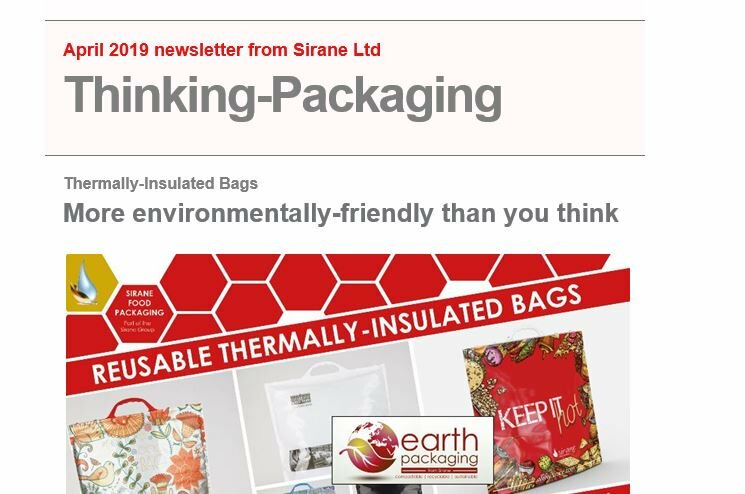 Sirane offers a range of food packaging, including absorbent products, oven and microwave-ready cooking solutions, shelf-life extending bags & films, susceptor for crisping food in a microwave, and a range of food pouches. We’ve also recently developed plastic-free solutions such as the Earthpouch which recently won first place in the Resource Efficient Pack of the Year category at the UK Packaging Awards, and has also won a Green Apple Award. Simon Balderson, Sirane MD, said: “We have a great team in Dubai, and there’s a lot we can offer the market, so we’re expecting to have a busy stand. The team in the Middle East is led by Farzan Mirshamsi, and I know Farzan’s really looking forward to the show, and meeting potential Sirane customers. He's been joined there by Anish Miah, one of our newer recruits to the team in the UK, who is lending a hand." Gulfood Manufacturing takes place in Dubai at the World Trade Centre from November 6-8. Sirane’s stand can be found on the UK pavilion (E7-17).